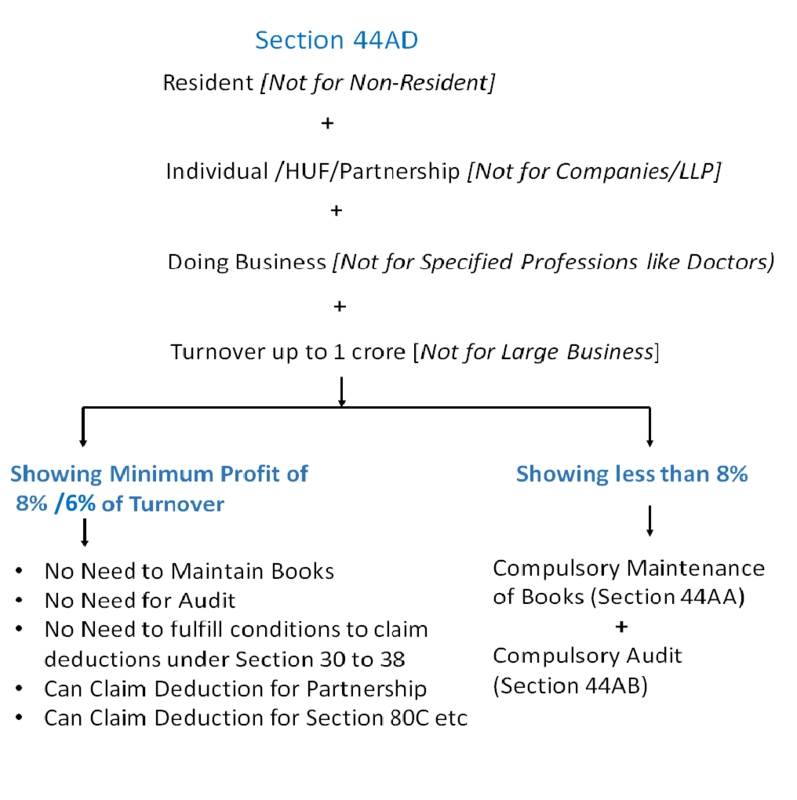 What is Section 44AD Persumtive Income of Business? No deduction of any expenses under section 30 to 38.is allowed . If the assesse feels that his profit is less than 8% of turnover then he has to compulsory maintain books of accounts and get the accounts audited under Section 44AB. Can in Case 1,assessee show PGBP income of 200000 in ITR ? Assessee cannot claim deductions under Section 30 to 38. But they can claim other deduction like Chapter VIA Deduction (Section 80C) etc. or section 40 (b) Deduction for partners.